Pick up your pre-ordered packages today! Once you place your package order, we will send updates over email as we get close to pick up day. 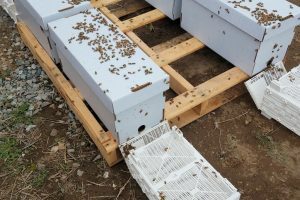 Pick up your pre-ordered live bees today! 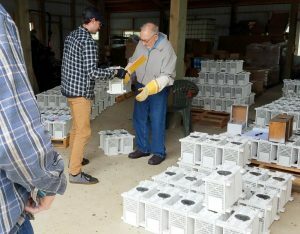 Once you place your package-in-a-nuc order, we will send updates over email as we get close to pick up day. 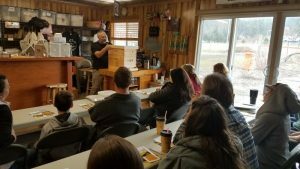 Second hands-on Field Day for the Backyard Beekeepers Association (BBA) Intermediate-level Beekeeping class. Even though the class is free for BBA members, it does require registration with the BBA association (link below). You can also RSVP in this page and we will send you reminders and updates in the case the class is rescheduled. This field day could be rescheduled in the case of rain. 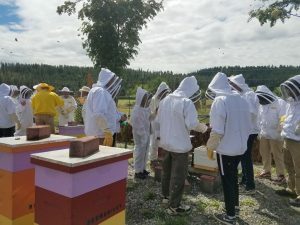 Beekeeping protective gear is always required for all hands-on field days. 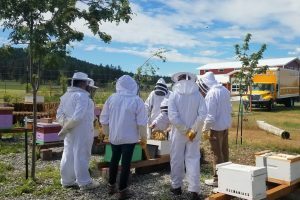 This hands-on Field Day is for: Students that took BeeManiacs 101 class, or Backyard Beekeepers Association (BBA) Intermediate-level Beekeeping Class Students You can RSVP in this page and we will send you reminders and updates in the case the class is rescheduled. This field day could be rescheduled in the case of rain. Space is limited so we recommend registering as soon as possible. 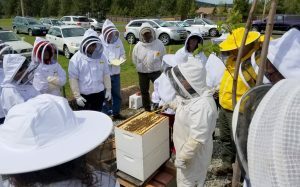 Beekeeping protective gear is always required for all hands-on field days.